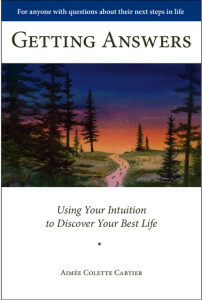 I wrote my book on intuition, because I wanted people to know how easy it is to use your own to discover your next best steps in life. You don’t even have to think of yourself as psychic. These tools are available to everyone, always. Plus, it’s fun. The Universe wants you to have the answers to your most pressing questions about your life, it’s just been waiting for you to ask. In my easy to read and digestible book, I show you the four simple steps needed to get your own answers, plus I reveal four secret ingredients that just add goodness to the journey. Available in paperback or Kindle. Click on the image to buy now or find out more. Available in Kindle or pdf.